Louisa has a special interest in food allergies, intolerances and sensitivities and other gastrointestinal disorders. She is passionate about paediatric and maternal health and works to support families in building healthy foundations for life. 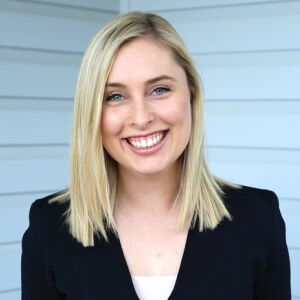 To prepare for her career, Louisa earned a Bachelor of Health Science in Nutrition in 2014 from the University of Queensland. She also obtained a Master of Dietetics in 2016 from the University. She is currently an Accredited Practicing Dietitian (APD) and Nutritionist. She is experienced in weight loss and the dietary management of diabetes, fatty liver and heart disease. Louisa works to implement sustainable changes to promote healthy lifestyles. She takes a holistic approach to dietetics and is interested in how sleep, stress and other factors in our environments impact our food choices. “I do not believe that there is a one-size-fits-all answer to health and nutrition and prefer to work closely with clients to create tailored plans to meet their needs.” Louisa finds it highly fulfilling to help people achieve their health goals. When she’s not seeing clients, Louisa enjoys cooking, coming up with new recipes and catching up with friends over a cup of tea. If you’d like to get your diet back on track, contact us today to book an appointment with Louisa!